Serving the city of Baltimore as a Nurse Practitioner for over 30 years, Marian Currens began her career at Hopkins Bay View Medical Clinic. Here she grew to appreciate the many challenges of treating substance use disorders. Marian expanded her work experience to include outpatient Methadone Maintenance, Suboxone Maintenance and drug free Intensive Outpatient Treatment. 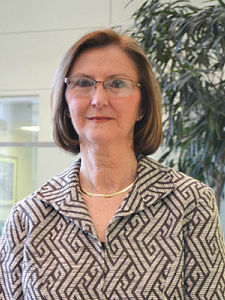 For the past 22 years, she has been the Nurse Practitioner managing the medical care for the inpatient chemical dependency services at UMMC Midtown Campus formerly Maryland General Hospital. She also holds the position as the Associate Medical Director for Center for Addiction Medicine (CAM). Under her management, CAM has grown to include multiple levels of care while maintaining Joint Commission Certification. Marian is also an active board member (or chair) on several local associations including the Maryland Association for the Treatment of Opioid Dependence (MATOD); the Maryland Association of Chemical Dependency Nurses (MACDN) and the Maryland Addiction Directors Counsel (MADC). When Marian can find time, she enjoys kayaking and the great outdoors.